So, as you probably know, St. Malachy (a 12th century bishop) supposedly wrote a prophetic list of all Popes to come, giving them poetic titles which cryptically reveal what they would be like. According to the list, the successor of Benedict XVI will be the last Pope ever. Some argue that the poetic titles don’t match their correlating Pontiffs very well. But there are a few instances where they do, such that you really start to get stressed out. “Pious City in War” is Malachy’s title for who became Pope Innocent IX, who had been Patriarch of Jerusalem (a pious city) as well as a papal nuncio under Pius V wherein he got Spain and Venice to team up with each other to defeat the Turks at the Battle of Lepanto (arguably the most decisive naval battle in history, and one which saved Christendom from becoming Muslim). “Corrupted Nation” corresponds to Pope Paul V who began the practice of nepotism, wherein he appointed his unsuited family members to ecclesiastical offices, leading a very less-than-ideal era for the Renaissance Papacy as well as Italy in general. “Religion Destroyed” corresponds to Pope Benedict XV, whose reign saw the rise of atheistic communism which succeeded in destroying religious belief all over the world like nothing else in human history. “Shepherd and sailor” corresponds to Pope John XXIII who had been Patriarch of Venice (a place associated with seafaring perhaps more than any other place in the world). “From the midst of the moon” corresponds to Pope John Paul I, whose reign began with the moon half-full (i.e. neither full nor new, hence “in the midst”) and only lasted about a month (i.e. roughly within the length of a lunar cycle). St. Malachy refers to the last Pope as “Peter the Roman.” A candidate for the next Papal Election is Cardinal Tarcisio Pietro Evasio Bertone from the town of Romano Canavese. That’s right, his name is Pietro from Romano. Oh, death. In the extreme persecution of the Holy Roman Church, there will sit [i.e., as bishop] Peter the Roman, who will pasture his sheep in many tribulations, and when these things are finished, the city of seven hills [i.e. Rome] will be destroyed, and the terrible judge will judge his people. The End. This unfortunately and disturbingly parallels something (I’m sorry to say) in the Third Prophecy of Fatima. Now, I’ll tell you right now that I’ve been turned off by a lot of psychotic Fatima devotees. In fact, it got so bad that I invoked my right as a Catholic to not believe in that particular private revelation. In any case, the Third Secret, I guess, also indicates that Rome will be destroyed (and further, the Pope will be killed). Weirdly, among the psychotic ravings of the Fatima-obsessed parties, there is a conspiracy theory that some high-ranking clergymen have withheld part of Third Secret from the public for some reason. It has long been believed by many that the chief culprit is none other than Cardinal Bertone (our Peter the Roman candidate). What could that mean? 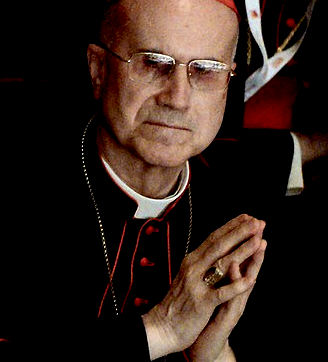 Is Bertone going to be some kind of Anti-Christ Pope? Or is he going to shape up (assuming he has lied about Fatima) and become a noble shepherd in the upcoming catastrophe? Or is he totally not going to be Pope at all so nevermind? The portentous hints of armageddon could be cross-referenced with this other supernatural anecdote as well: Pope Leo XIII had a vision that the devil was going to wreak more devastation in that following century than he had ever done. Leo had the vision about a century ago. That century should be coming to an end … and perhaps the world is going to end with it. It might be that bad. When Benedict resigned, by the way, lightning struck St. Peter’s dome. Is it ominous confirmation that the line of Peter is indeed coming to an end? And that the city of Rome is to be destroyed with it? One may ponder whether the efforts to turn the world into a globalized Sodom and Gomorra might have something to do with this allegedly incoming brimstone. One may reflect whether the billion+ aborted babies could factor in this looming termination of the world. One may question whether oneself may be a willing participant in this doomsday event. Lastly, I’d like to draw attention to the threefold division of history (and many supposed prophets said there will only be three). The end of the Ancient Era incidentally was marked by the Fall of the Western Roman Empire (c. 500 AD). The end of the Medieval Era was marked by the Fall of the Eastern Roman Empire (c. 1500 AD). Perhaps the end of the Modern Era will be the Destruction of Rome (c. 2000 AD). Man, apocalyptic prophesies never get old, do they? Fortunately, they have a knack of not coming true. But it’s probably good to contemplate the end of earthly existence once and awhile. After all, you could die today. What’s the big difference if it’s the whole world? Yeah, we’ll be okay. Or not. Now your are bringing the content… keep it up. I’m sending this to my Catholic relatives in AZ and NH. I’ve asked them to send to their Catholic friends and relatives. We need more options than Patheos (Mark Shea posted your Mary Poppins piece a year or two ago and that is how I found this site…) and National Catholic Register (both awesome), but I need variety. Send some prayers my way. This stuff doesn’t always come that easy.